And also today only: $180 off on the Rokinon 50mm T1.5 Cine E-mount lens again at BHphoto. The new Meike 35mm f/1.4 E-mount lens is now in Stock at Amazon US, BHphoto, Amazon DE, Amazon UK, Amazon FR, Amazon IT and Amazon ES. The Sony A7III sells for 1835m Euro only at Amazon Spain. That’s 250 Euro less than next best price I found in Germany. 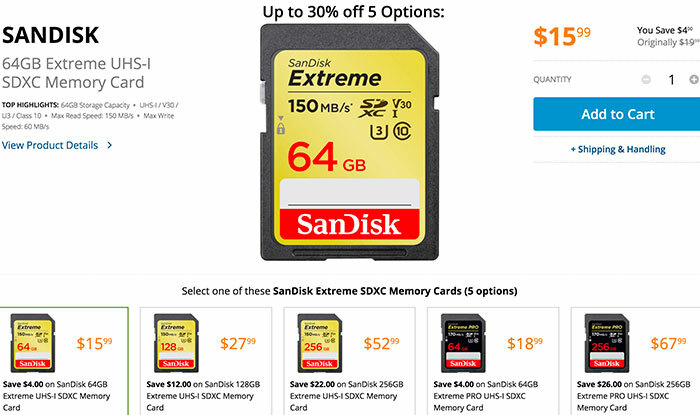 Don’t know why but the past 3-4 weeks Amazon Spain keeps offering superb deals on Sony gear. The good news is that all EU citizen can buy from Amazon Spain. And there is alsso the A6000 with lens for 449 Euro again at Amazon Spain (50 Euro less than next best price). 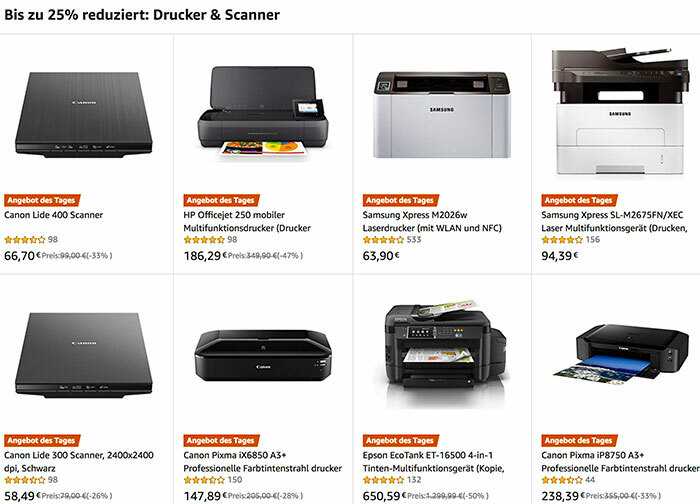 And today only you save up to 25% on more than a dozen printers at Amazon Germany. The Open Box Sony RX100 for $299 only at BuyDig eBay (Click here). 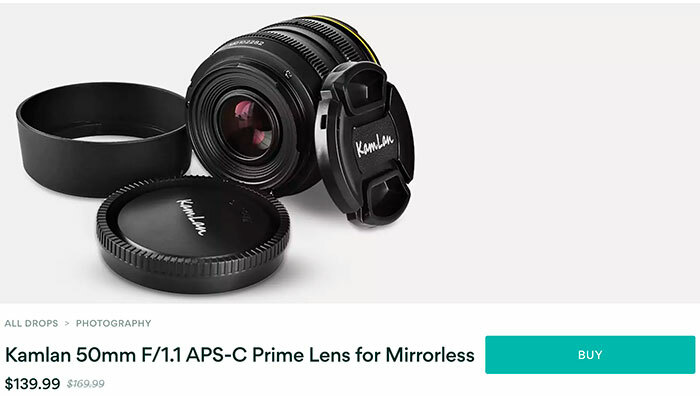 You get this first generation Kamlan 50mm F/1.1 E-mount lens for $139 at Massdrop. The Sony A7III sells for 1835m Euro only at Amazon Spain. That’s 250 Euro less than next best price I found in Germany. Don’t know why but the past 3-4 weeks Amazon Spain keeps offering superb deals on Sony gear. The good news is that all EU citizen can buy from Amazon Spain.